Puff was imported from Germany. His breeder is Silke Hollje-Schumacher. He lives with his co-owner Becky Broussard who breeds PWDs under the prefix Sonrisa. Becky and I work together. Puff is a wonderful dog to live with. He is very willing to please. He is currently working on his advanced obedience and rally titles. He has two trick titles. 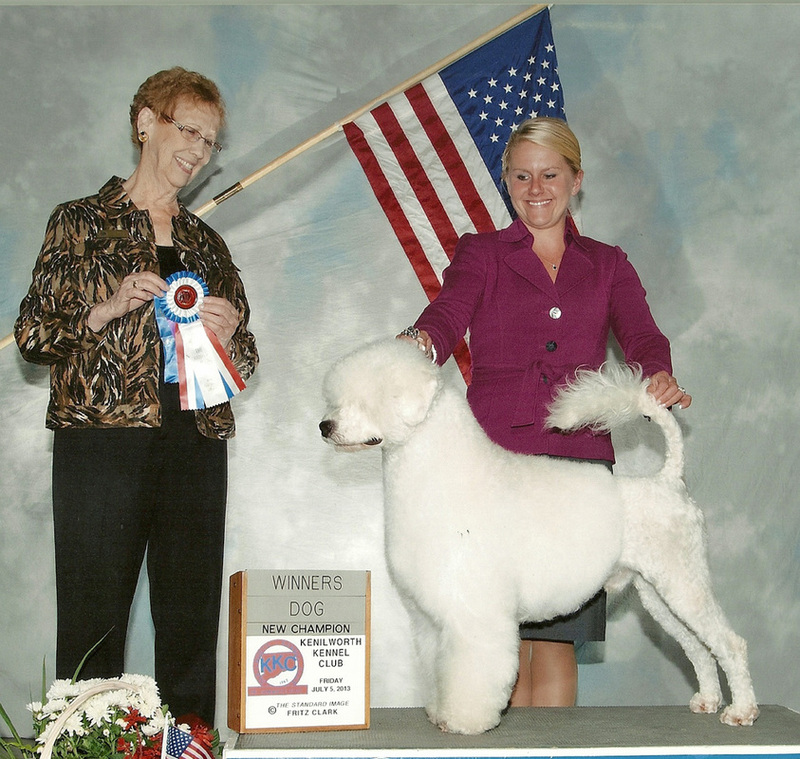 Puff is the first genetic white PWD to become a Champion in this country.